Sturdy structure, designed to eliminate any risk of slabs tipping over. Slabs are placed on a special rubber profiles and secured with four ratchet securing bars. Contains an extra storage section in the center that is ideal for storing tools. 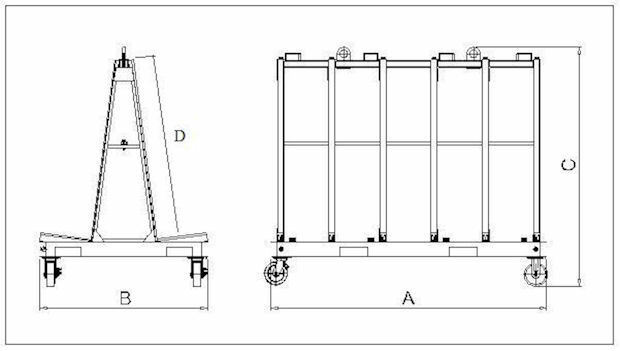 Frame features two eyelets which can be used to pick up the frame with an overhead crane. 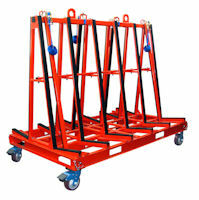 Built in brackets on all sides for forklift transport. Four 6" heavy-duty removable casters included.